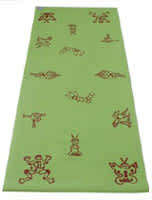 The adorable"Buggy Mat" was inspired by designer Patricia Foreman's inquisitive children who would lovingly dig up and play with bugs in their garden. Each Bug is doing a suitable yoga pose for fun and creativity. 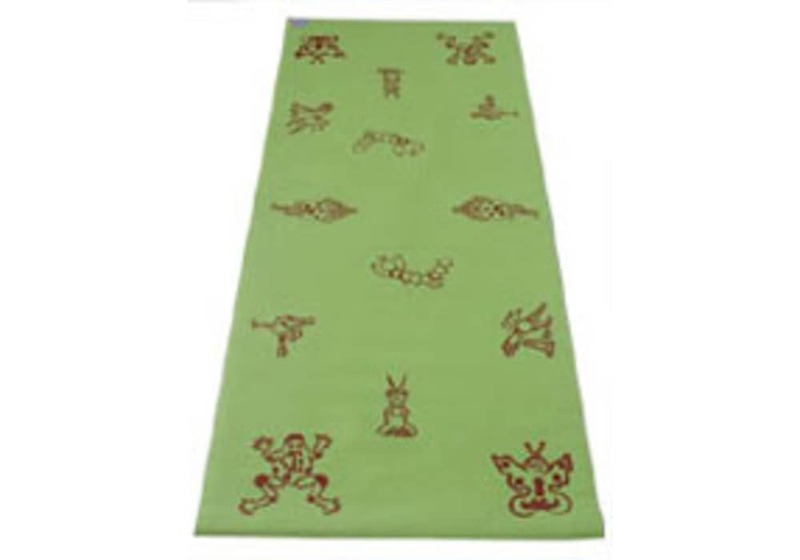 Not boring or instructive, the designs are cute and fun and easily seen on either the lovely green or lavender child size yoga mat. 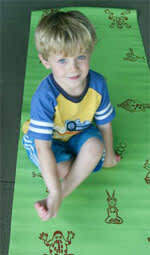 The mat is the perfect size for kids. 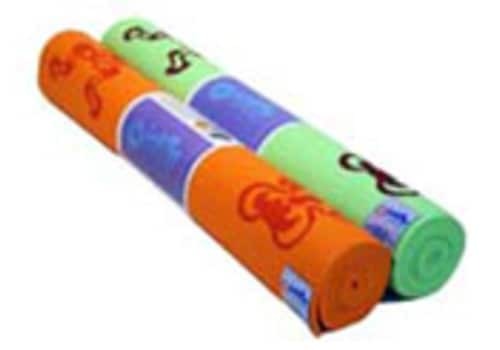 Made of Clean PVC vinyl foam (no phthalates, no heavy metals), it's lightweight, making it easy for kids to handle and carry. 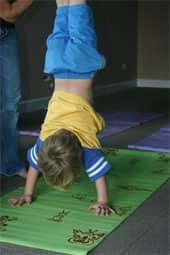 The very special Buggy mat just might keep your children enthused enough to keep doing yoga or fun enough to introduce them to a lifelong healthy practice. Contains no phthalates or heavy metals! Color: Green, Orange, or Light Purple.